African elephants, among others, are in crisis. Poaching ivory has taken a toll on the elephant population. It is said that the poaching rates have escalated in the late 1990s and are now currently spiking. According to reports from wildlife organization, Save the Elephants, between 2010-2012 up to 33,000 elepants were poached and killed on average each year. Based on statistics released by the Convention on International Trade in Endangered Species 25,000 elephants were killed worldwide for their tusks in 2011, 22,000 in 2012, and 20,000 in 2013. Although there is some variation to the statistics it is very clear that an enourmous amount of elephants are killed annually. Animal rights groups estimate that poachers in Africa kill between 25,000-35,000 elephants annually which translates to about 104 elephants per day. Based on these facts experts believe that if killing continues at this rate elephants wil go extinct within the next decade. Who is poaching the elephants and why? According to numerous reports wildlife hunting, including the poaching of elephants for their ivory, is big business. A recent 2013 estimate valued the illegal poaching trade in Africa as being worth $17 billion dollars a year and sadly growing. The reason that elephant poaching continues is that there are big profits. According to gun policy officials the going rate for a rifle in Kenya is around $100-$120 and a single tusk can be worth up to $240. Who buys the Ivory? Why do people let this happen? According to reports the elephant tusks are shipped primarily to Asian countries to be used for a wide array of items including but not limited to jewelry, I Phone cases and sadly elephant figurines. In China it is reported that more people there are willing to spend more money for ivory products which are seen as status symbols. A recent study by The Times found that less than a third of Chinese people surveyed knew that elephants are killed for their tusks. Ivory comes from elephant teeth that fall out naturally and new ones will grow back. Ivory is only taken from elephants that African families have killed for meat in order to survive. Ivory is procured by tranquilizing the elephant and painlessly removing just the ends of the tusks. Sadly, poaching is increasingly carried out by heavily armed crimnals. It is reported that the most common poaching gun in east Africa is the AK47. Increasingly poachers spot elephant herds from helicopter. On ground, poachers have been known to use machetes, spears and poisoned fruit. What effects will poaching have? There are many effects that poaching can cause. Elephants are crucial, as other animals are, to the overall health of ecosystems. One fact is that elepants are more like us than people may know. They have the ability to grieve, have amazing memories, among other human-like characteristics. By poaching elephants they can lose their culture. Although social learning has not been proven there is evidence that older family members pass down their knowledge to the young. When there is social disturbance among the elephant culture it is reported that it can lead to deviant behaviors among the young. Trauma and dispalcement have also been reported to have lasting impacts psychologically which would resemble Post Traumatic Stress Disorder in humans. Poaching can also have negative consequences on the lives and livelihoods of people in places where elephants live. Elephants draw tourists from around the world that provides a legal and sustainable source of income for those communities. Poachers among the communities spread crime and rob them of one of their resources. 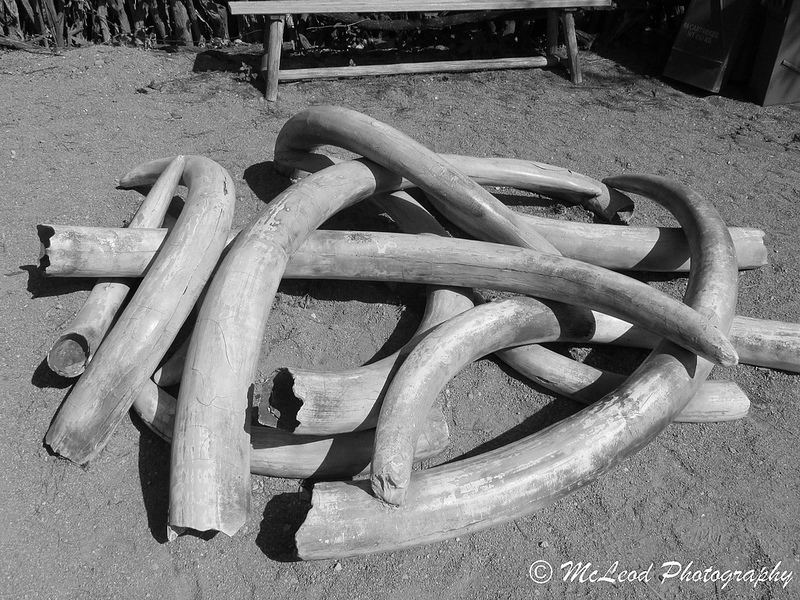 A lot can be done to curb ivory demand through awarenes and law enforcement. Concerned people, like us, can help make ivory undesirable by simply spreading the word. Donations to H.O.P.E. make a substantial difference in this effort. Visit http://saveivory.org to donate or find out ways that you can help. Take Action Today to Save Ivory!